means conversion of cash or money into a monetary asset or a claim on future money for a return. 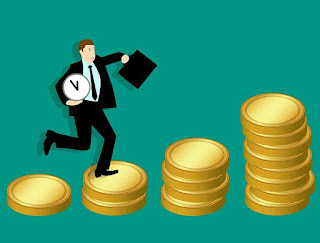 saving or liquidity and lastly for taking a risk involving the uncertainty about the actual return, time of waiting and cost of getting back funds, safety of funds, and risk of the variability of the return. the Government and semi-Government body etc. issued by any of the bodies, organisations or the Government. The derivatives of securities and Security Index are also included as securities in the above definition in 1998..
capital market and do not constitute part of the security analysis. Innutshell, securities are financial instruments that have been created to represent a legal obligation to pay a sum in future in return for the current receipt of value. Securities thus represent the cash equivalent received from another person..
characteristics and make proper projection or expectation of the risk and return of the alternative investments under consideration. individual securities and the market as a whole and estimating the risk and return expected from each of the investments with a view to identifying undervalued securities for buying and overvalued securities for selling is both an art and a science and this is what is called security analysis. in traditional sense is essentially an analysis of the fundamental value of a share and its forecast for the future through the calculation of its intrinsic worth of the share.